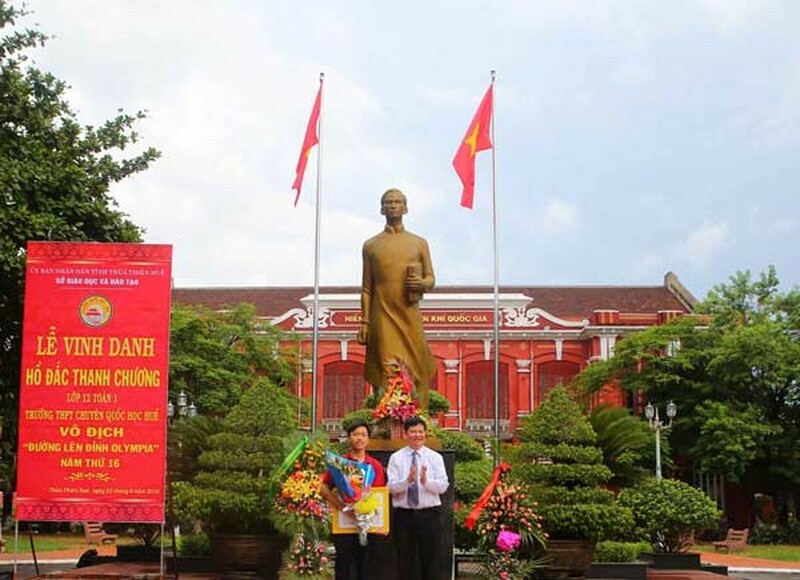 The Department of Education and Training and People’s Committee in the central province of Thua Thien-Hue yesterday held a ceremony to honor Ho Dac Thanh Chuong of Quoc Hoc Hue High School for the Gifted in Hue City, who won the championship at the 16th season of the “Road to Mt. 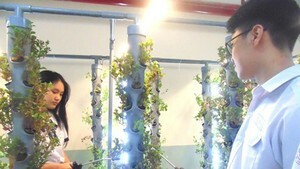 Olympia's Peak" quiz show in Hanoi on August 21. A representative from the People’s Committee awarded a certificate of merit and cash of VND20 million (US$898.9) to Chuong. Additionally, People’s Committee, educational facilities and enterprises in Hue City also presented cash of VND150 million to Chuong for his excellent achievement.